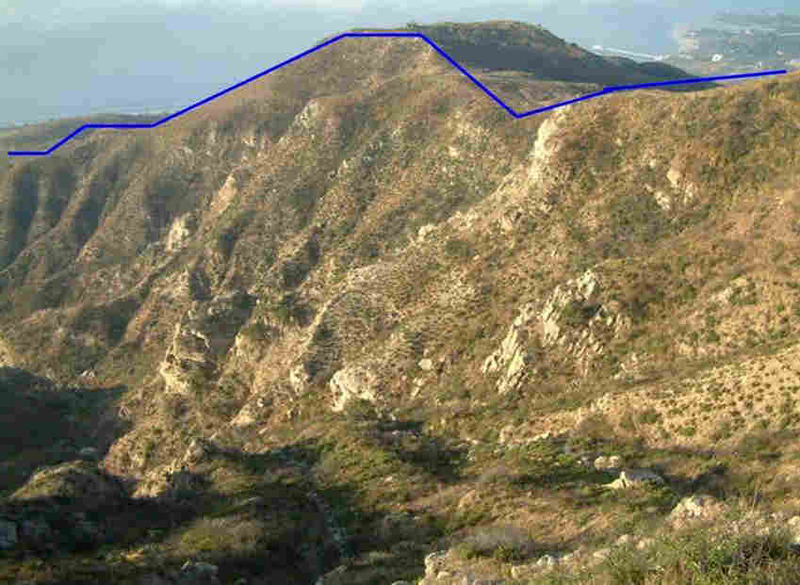 We help high fire risk communities in California design and implement fire prevention systems. 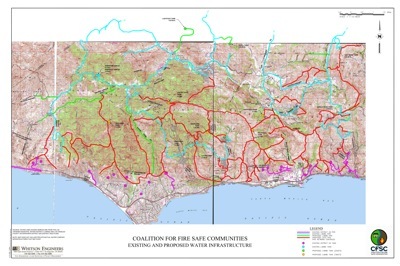 We help high fire risk communities in California design and implement a fire prevention system unique to your area. The Coalition for Fire Safe Communities (CFSC) is a 501(c)(3) nonprofit organization founded in 2008. Homes located in high fire hazardous zones are at the mercy of uncontrollable winds and fires during firestorms. We can help. If you would like CFSC to make a presentation at your next HOA meeting or other community meeting, please contact us. We wear a ribbon the color of ash to remind us of the lives, the homes and the dreams that have been lost forever in the terrible wildfires in California. 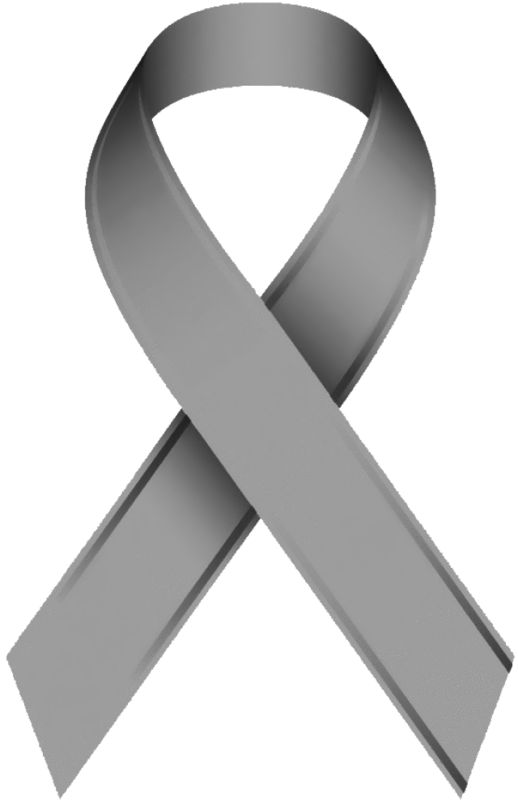 We wear a ribbon the color of ash as a reminder that more can be done to protect us. 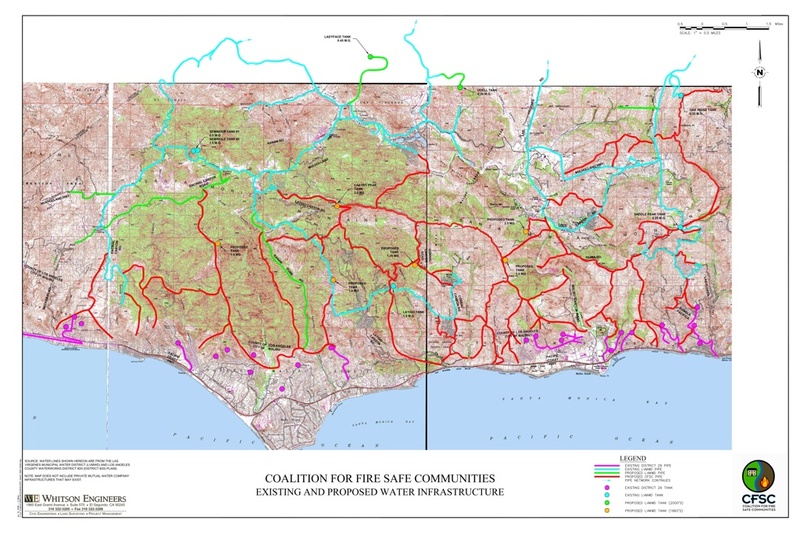 The Coalition for Fire Safe Communities plan disables massive wildfires by containing them in canyons and diminishing the spread of fires over ridgelines and down into neighboring canyons. This system acts as a network of virtual levees and dams. Levees channel rivers and while dams hold back floods. In the CFSC system firefighters channel fires along defensible firebreaks on North-South ridges, just like a levees, and impair progress toward the ocean, on East-West ridgelines, just like dams, utilizing installed firebreaks and hydrants. Six new water tanks are planned holding a total of 9.5 million gallons of water for firefighting purposes only. These additional water tanks would be connected to the municipal supply and feed a series of six to eight inch water mains with traditional fire hydrants, installed along ridgelines. This includes property loss, damages, suppression, recovery and rebuilding. It doesn’t have to be this way. We can have a fire prevention and protection system that will cost less than what we pay to fight, recover and rebuild. A First Fire Defense System for the 50 square mile area of the Santa Monica Mountains and Malibu would cost approximately $80 million. 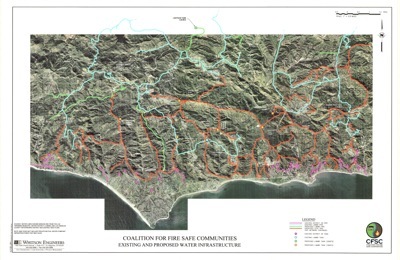 CFSC's fire prevention and protection plan involves 6 water tanks holding 9.5 million gallons of water (wastewater and saltwater options are being discussed) with water mains and hydrants strategically placed along ridgelines to protect homes and neighborhoods. 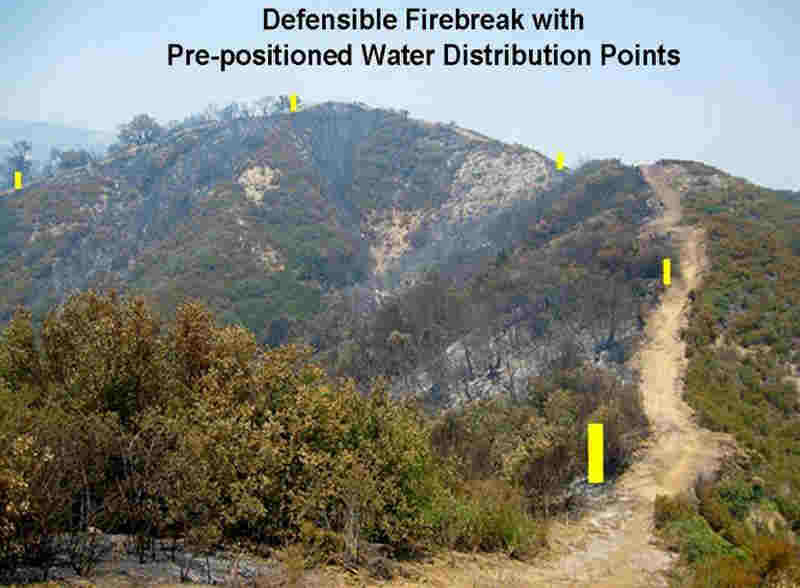 With prepositioned fire breaks and water mains, wildfires can be disabled. The Coalition for Fire Safe Communities (CFSC) is a 501(c)(3) nonprofit organization founded in 2008.